Roy Hibbert averaged 10.6 points last season, his fewest since his rookie year. 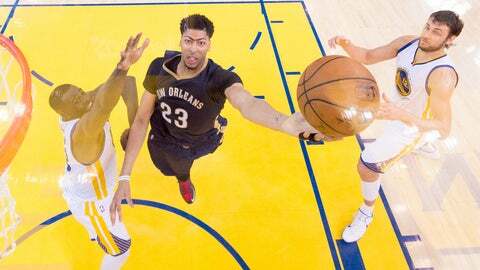 As the NBA landscape continues to be altered through free agency, the Los Angeles Lakers have been sitting on the sidelines not getting anyone to commit. But all that might change soon. Sources: Final issue still being worked out in trade — fiitting Hibbert's 15 percent trade kicker into Lakers room. Sides working that out. Trade kicker is $2.3M bonus Pacers pay Hibbert — but impacts Lakers salary cap. No deal can be completed until July 9. Time to complete it. Lakers angling to preserve as much salary cap space as possible — and bring on HIbbert in the deal. Sides believe it'll get worked out. The Lakers reportedly made runs at a number of free agents, including LaMarcus Aldridge, Kevin Love, DeAndre Jordan and Greg Monroe, but so far have come up empty. Hibbert, entering the final year of a four-year, $58 million deal, saw his role decreased in Indiana despite forward Paul George missing nearly all the season with a broken leg. Hibbert’s scoring average fell to 10.6 last season, his lowest average since his rookie season. 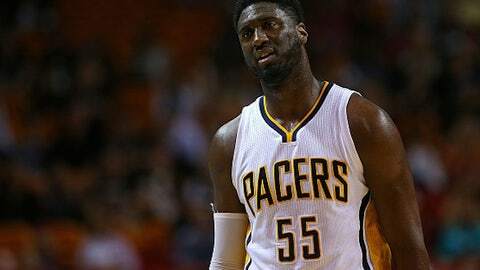 The Pacers reportedly have been shopping Hibbert in the hopes of implementing a more up-tempo offense. The Lakers drafted guard D’Angelo Russell late last month instead of center Jahlil Okafor. Many assumed that move signaled that the Lakers would get a big man in free agency, but they’ve been unsuccessful thus far.